This is an advertorial in collaboration with Clarins. Nothing screams summer more than the new Clarins Summer Collection*. They have outdone themselves again with this beautiful collection and the packaging with its gorgeous flamingo and tropical leaf pattern. Clarins is one of the brands I have supported for a very long time and I always get very excited about their new product launches. 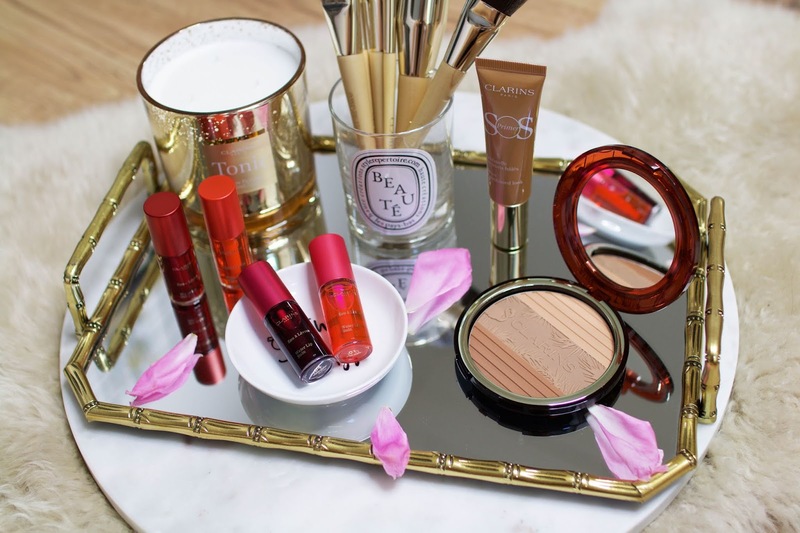 Summer is by far my favourite season for makeup because the most exciting collections of the year are generally launched throughout the summer months. This year, Clarins have already introduced so many amazing new products that I can't wait to share with you guys. 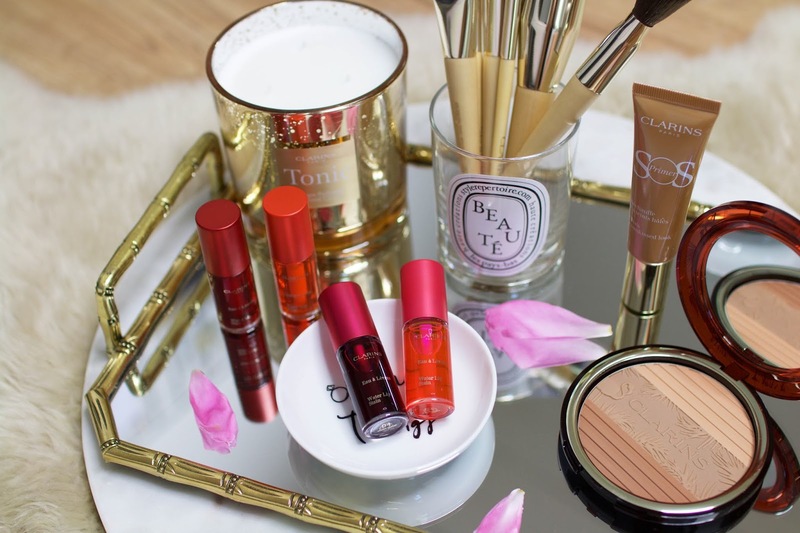 Read on to find out all about their new Summer Collection and how to achieve that perfect bronze glow. 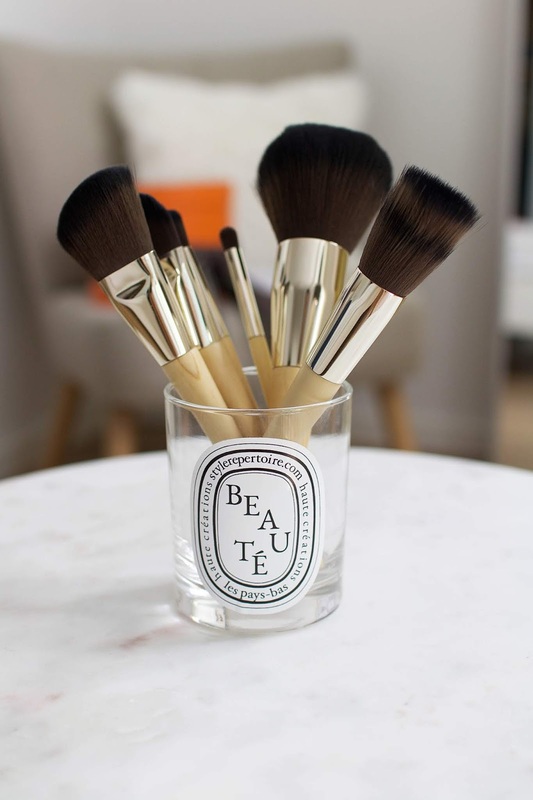 The new makeup brushes are everything you need to apply makeup like a pro. 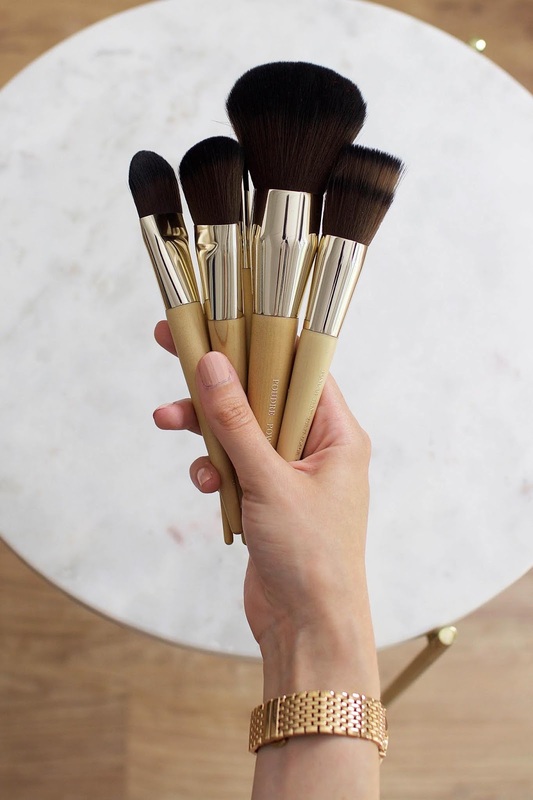 Clarins introduce six new brushes, all designed with soft synthetic fibers that blend and apply products effortlessly. My personal favourite is the Blush Brush* - it's this perfect tapered brush that hugs cheek contours for a sculpted, natural-looking effect. I love applying bronzer with this brush. Two foundation brushes, the Multi-use Foundation Brush* and Flat Foundation Brush* both make applying foundation super easy. Perfect for blending all liquid, cream or powder foundations, concealer and primers. The Powder Brush* is amazing for an even powder distribution for all compacts and loose powders. There are also two new eye brushes, the Eyeshadow Brush* and Blending Brush* are both incredibly soft and the perfect helpers for any eye makeup. They are designed to apply cream and powder eyeshadows perfectly with effortless blending and precision shading. I absolutely love these brushes, they feel incredibly soft on the skin and make makeup application so fast and easy. 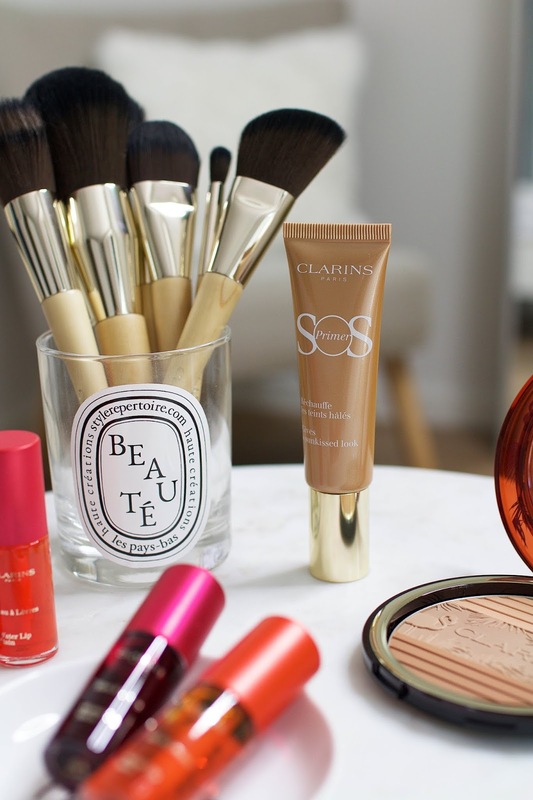 Clarins' Limited Edition summer bronzers slay the makeup game every year. 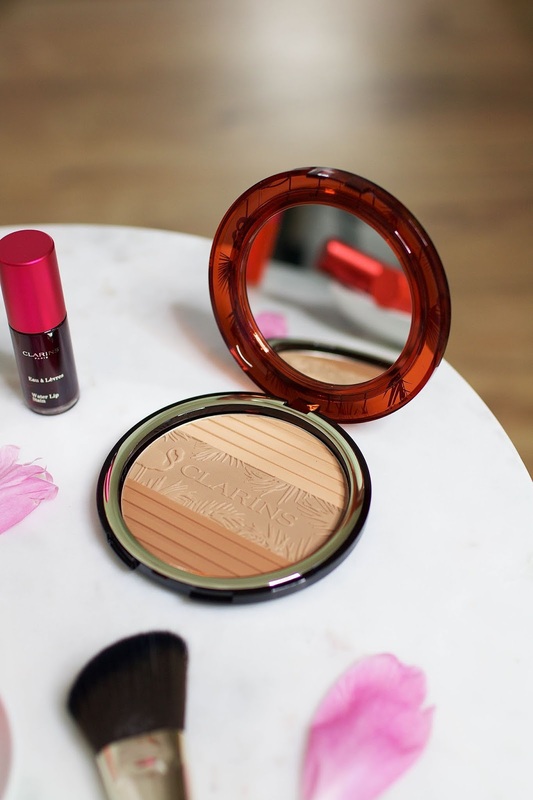 There's the new Bronzing Compact* which instantly became my favourite, due to it's beautiful warm tones. It contains a trio of matte tones, which are well pigmented, very soft and blend wonderfully. The shades are absolutely perfect for that gorgeous sunkissed glow but you could always go from a touch of tan to très bronzé. This compact warms the complexion beautifully and the packaging is embossed with a gorgeous flamingo and tropical leaf pattern which makes such a stunning piece in anyone's collection. Super cheerful and summer-vacationy! 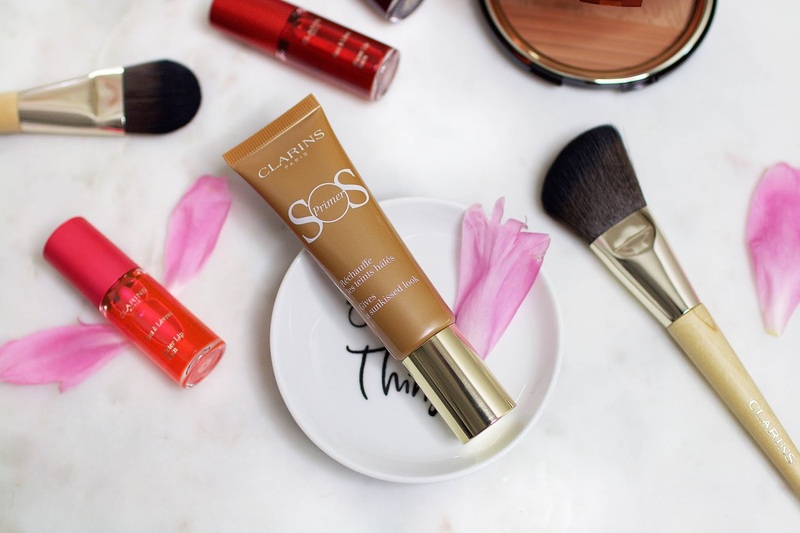 I have already introduced you guys to Clarins' new SOS Primers in a different blog post but as part of their new collection they have created a Limited Edition SOS Primer* in the shade 06 Bronze. This primer is absolutely perfect for fair and medium skin tones like mine - it creates a stunning golden glow with a luminous look of sun-bronzed skin. Additionally, this primer neutralizes, illuminates and blurs imperfection while adding a beautiful glow on top of your foundation. Another exciting launch are Clarins' first water lip stains - Eau à Lèvres*. This is a product I have never seen or used before this launch but I love the idea behind it - it is a transfer-proof, long-wearing formula that resists up to 300 kisses. Sounds amazing right? Composed of over 77% water, the formula instantly fuses with the lips and you almost forget it’s even there. I was surprised at how lightweight this product feels on my lips. It literally glides on like a dream, giving a wonderful feeling with no drying effect. The applicator is also really easy to work with - the brush absorbs an optimal amount of colour and has the perfect size. The Eau à Lèvres come in four different shades and you can wear them either alone or in combination with other lip products too. I love that you can play with the colour intensity and customize the result for a lighter, more natural look or a deeper glam effect. I think these lip stains are the perfect product for the summer months because of their lightweight feeling and you literally need no touch ups. 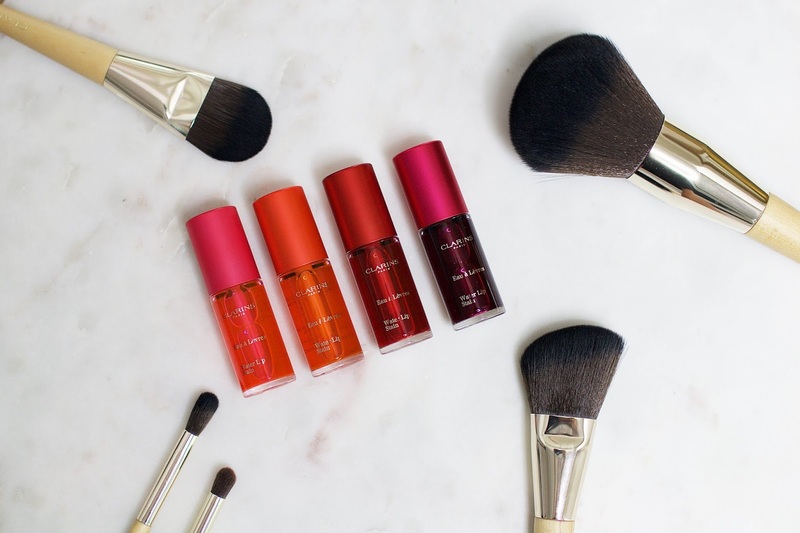 They are the perfect beauty cocktail with all the benefits of a lip care. I'm wearing the shade orange water in the pictures. Have you guys tried any of these new products? Are you excited for all the new summer makeup launches? All content copyright © 2013 Ana Céline Labod unless otherwise noted. Powered by Blogger.